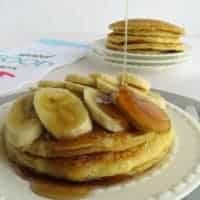 My kids absolutely adore having this easy homemade pancake mix in the pantry for weekends and holidays! 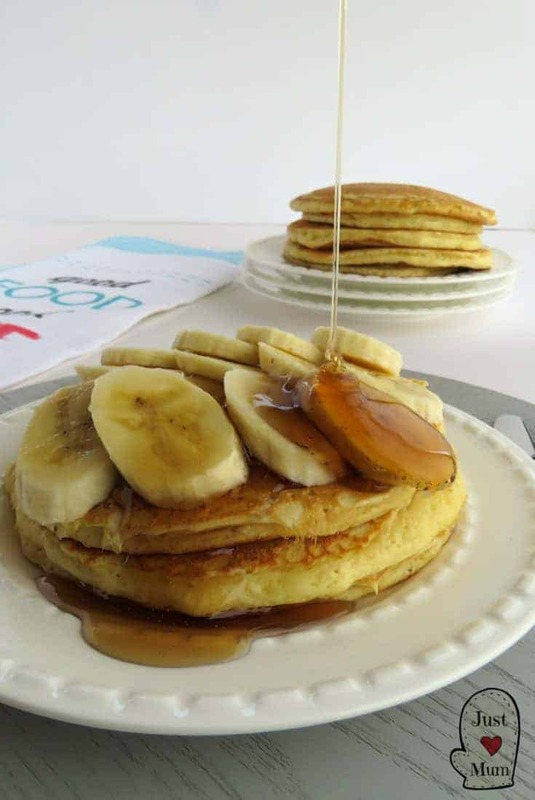 We discovered this recipe last summer holidays and it made lazy mornings so fun for the kids. 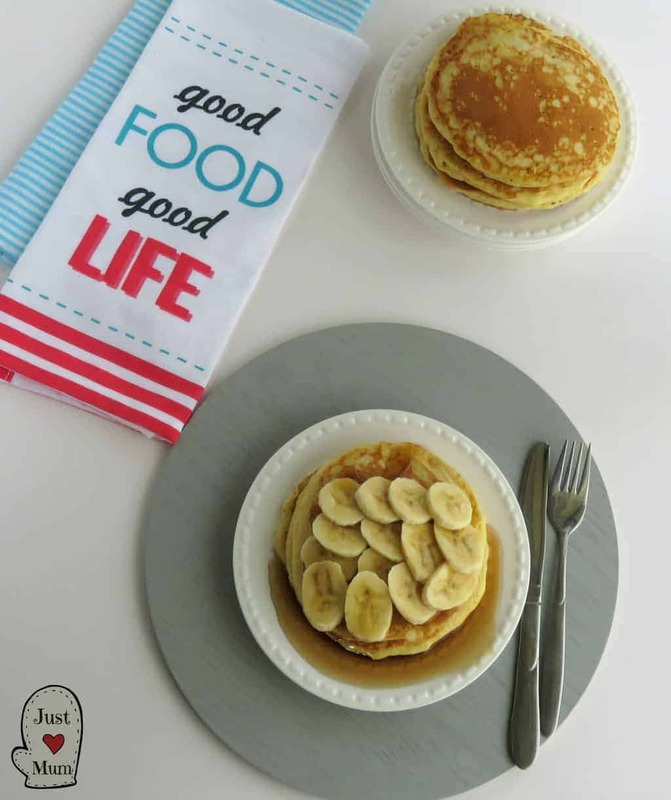 They are old enough now to follow basic instructions for cooking, and who doesn’t love pancakes for brekkie! 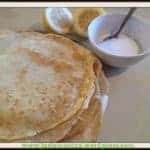 All it is is a pre made pancake mix like the type you might find in the supermarket – only you can make it in bulk and it’s much cheaper. 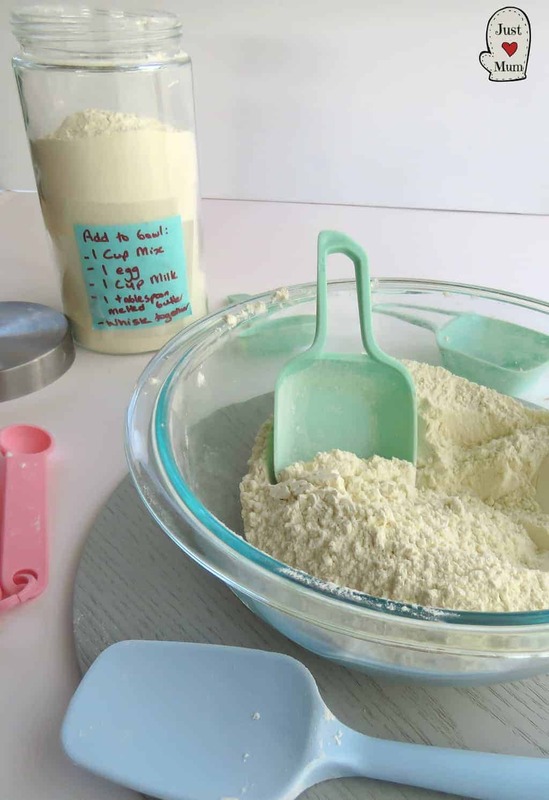 You simply store it in an airtight container, or in ziplock bags if you are travelling, and then when you want them simply add the wet ingredients and bake! 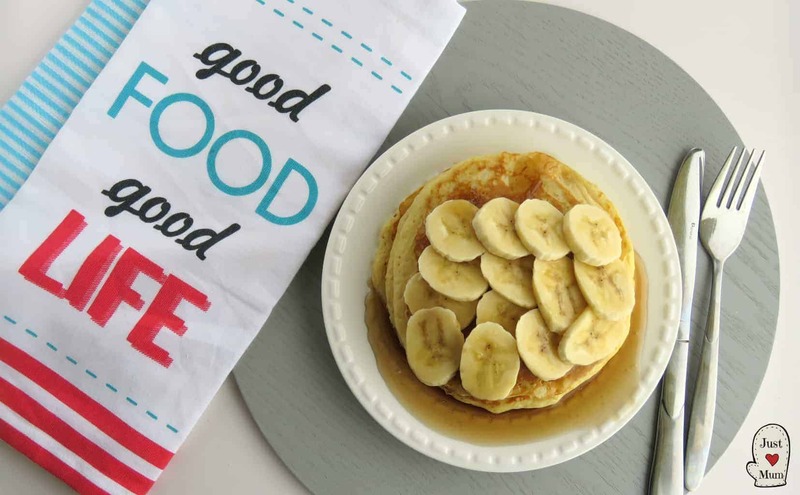 This recipe makes the most beautiful no fail pancakes. Thick and fluffy if you like, or you can spread the batter to make them thin as well. Then all that is left is to serve them with your favourite toppings and get stuck in! One lot makes enough for 2-3 we have found, so I tend to double the batch to generously feed our hungry family of five. 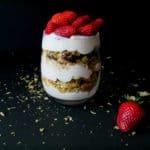 We were originally given the recipe by a friend but my google search suggests its pretty much the same recipe as Rachael Ray uses, but I have found it on several sites since so I cannot quote the original source!! So onto the recipe, it is so simple, I cannot wait to see photos of families enjoying this recipe over the upcoming holidays and weekends. In a large bowl combine flour, baking powder, baking soda, salt and sugar and mix well. Add 1 Egg, 1 Cup Milk, 1 Tablespoon of melted butter. Preheat a pan or griddle over a medium to low heat and use either butter or cooking spray to grease the pan. Add 1/4 to 1/2 cup amounts of the batter to the pan and cook until bubbles form, then turn and cook for a further 1-2 minutes. Set the cooked pancake aside, respray your pan and repeat until all the mixture is used up. 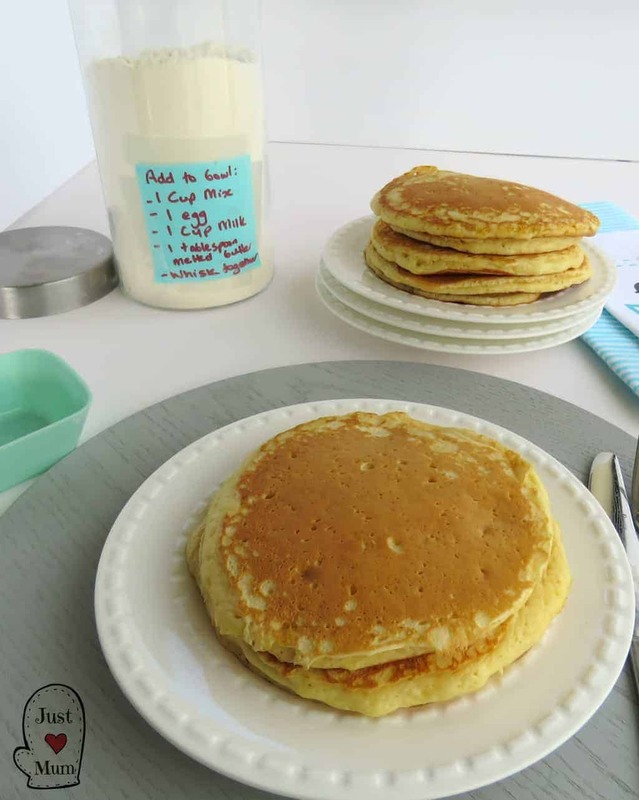 It is so easy, a great idea for camping trips, or for brunch when the kids are old enough to make it themselves, or even just to make pancake making that much easier for yourselves! 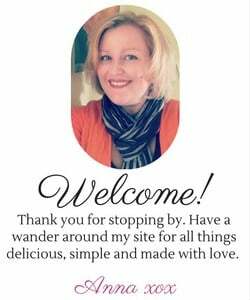 I hope you enjoy this recipe, and always feel free to share photos of what you make from my site, I just love it! Is it really 3 tbsp baking powder seems an awful lot or is it supposed to be tsp. How much does it stay ? Do you mean how long does it keep? I would say a month or so at least in an airtight container. 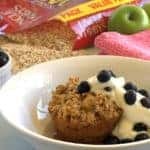 Just made these, so easy and yum!! with ice cream as well……………..